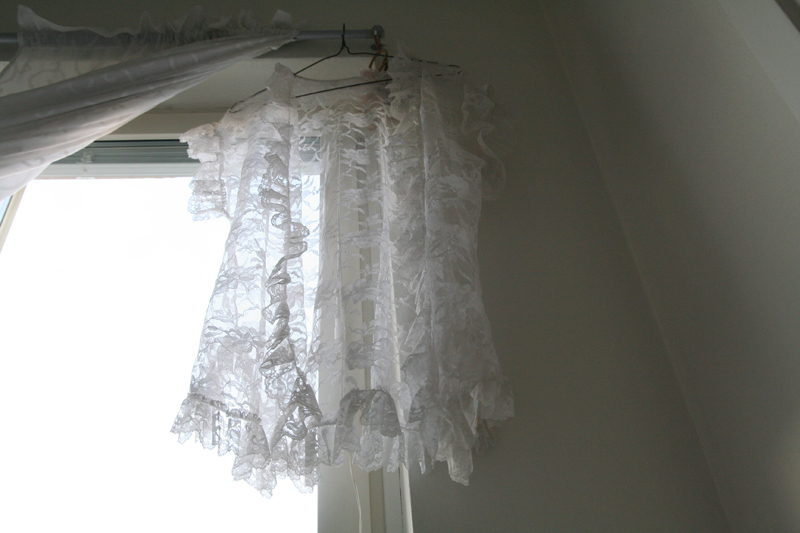 Lace robe, vintage. Dress, Topshop. Socks, H&M. Sunglasses, Gina Tricot. SPRING. I was so excited when I found this gorgeous vintage lace robe last week. It looks super pretty paired with basically anything and is the perfect piece of layering for summer! Pretty, I like the filled in eyebrows. SÖÖÖT DU ÄÄÄR. utan att låta som ett creep. So cute, love the ankle socks! The shade of lipstick is perfect for yout oo. Åååå, vilka supersnygga bilder du visar… som ALLTID! Jag är verkligen ett stort fan av din blogg! Lovely! that lip color just pops, love the dewy vintage look of the photos. It really is gorgeous. And it looks really pretty with the dress your wearing! Can’t wait to see other looks with this amazing vintage piece! I really Love the Outfit !!!! love that lace spring blouse. i need to add a piece like that to my spring wardrobe…there’s a cream joie one i’ve had my eye on. Love that topshop dress and the vintage robe, they are both so, so gorgeous! Beautiful pictures too! those close-ups of you are so so good!! and i love that lace cardigan, i can see it being layered over so many things. I really like the pictures, you look gorgeous with this lovely outfit! I adore your lipstick! stunning! Undrar bara vilket läppstift det är du använder i inlägget! The lace robe is so feminine and pretty and you match is so well. Lovely photos as usual!! Great look. I love the tone of your lipstick and the robe..well..so cute:))! oh my lord i adore this look! amazing on yoU! You look like a DOLL! Beautiful. 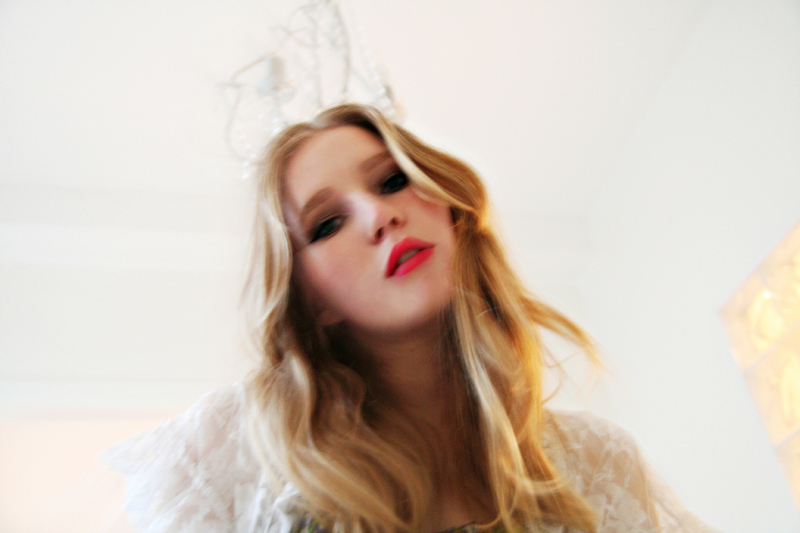 feel free to check out my pictures from paris Fashion week..
what a nice vintage find! that dress is adorabe. love the lace robe! great post! what a precious look! that lace robe spring thing is very pretty. STUNNING! very very cute outfit and really nice pictures! oooh la la! I actually have something similar except it’s like a wedding blouse of some sort? and I love mine…white lace makes everyone beautiful!!!! Not only are the socks gorgeous, but where did you get your lipstick? It’s perfect! This is just perfect and romantic! I love the way your makeup is done, and your springy outfit. I love the color of your lipstick! where is it from? Definitely got the whole spring thing going on! Du är såå snygg tjejen!! bbeeeeauuutiful styling in every way! perfect. love the socks hair and lipstick. the lip color looks great on you!! your hair is so pretty. 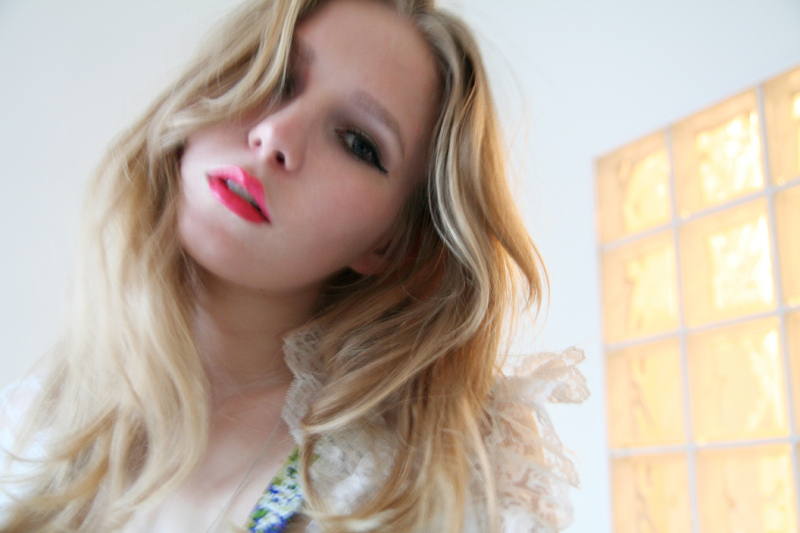 the whole outfit goes so well with the flowery wallpaper backdrop <3 so ready for spring!!! helt klart snyggaste bloggen ever. lovely photos :) love the red lips! you are just the prettiest blogger around! Love the robe, what a great find! BTW, I used to wear socks like that when I was a kid! Love! love the look :) and im in love with the lace top! awww so cute i love your room!! gorgeous gorgeous! So in love with lace lately… especially paired with dark black shorts + lovely bow shoes, love simple elegance. Your look is lovely. Yndig og fin. Amazing vintage lace robe !!! I love it!! Stroll on my blog if you want..
I’m in love with lace and the outfit too! Kikade in här för första gången idag och fastnade. Har kollat igenom bloggen tillbaka till december..
RIKTIGT mkt inspiration du bjuder på! Älskar dina outfits och dessutom är du UNDERBART vacker! Oh my gosh those socks are like so cute. I definitly need some flowered vintage dresses for summer, too! Love your blog. i really enjoy your blog, very inspiring, stylish and beautiful! Just wish you updated more often and maybe did some posts on your make up, skin and hair care…. that would send it over the top! SO GORGEOUS!! i love your lace coverup! Love the dress, lace & socks combo! so cute! I love how playful and happy you look in these photos! LOVE the lipstick too. gorgeous is really the word…. Great look!!! your photographs are beautiful – you are very talented! love the socks and lace robe combo! I love ur blog, ur style and ur liberty dress ! Given your appreciation of fashion. You may be interested in my giveaway, it is one of my fashion illustrations of a shoe that appeared in Mirabella magazine. Hej! Jag har en fråga: I den andra bilden (uppifrån) i bakgrunden och i hyllan så ser jag att du har en sådan där blå sovmask (som Audrey hepburn har i filmen “Breakfast at Tiffany’s”) och undrar var du köpt den, för jag skulle verkligen vilja ha en sådan och har letat överallt efter den. Är den köpt på internet, isåfall vilken sida? Your are so beautiful! I love your blog and your style! Pretty, pretty, pretty… you are so pretty! Amazing! Love how you can go from this sweet and frilly look to the edgy badass one in your last post. Amazing! is so cute, what lipstick you use? Really i love it !